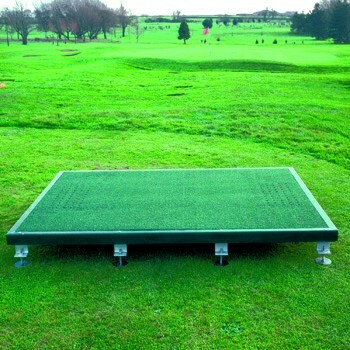 Super quality tee Golf Mat with strong galvanised steel tray to contain the mat itself. 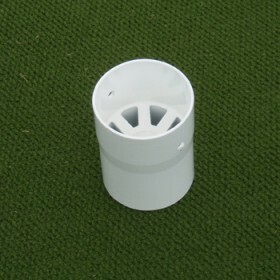 This model has steel feet which can be used to level the unit. Can be suface standing or ground installed. 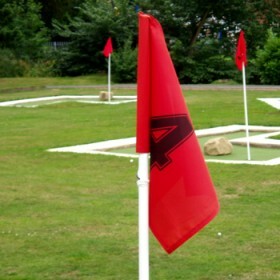 Accommodates left and right hand players. Designed for use all year round. Quality tee mat with 15mm deep woven wilton polypropylene surface adhered to a shock resistant layer and then a light polyethylene foam backing. The mat has three holes each side in a diamond pattern with crossed rubber tees.